New Delhi : Strongly opposing the proposed legislation on triple talaq, MIM chief Asaduddin Owaisi on Saturday called for unity among Indian Muslims to protect the 'shariat'. Stating that the Supreme Court verdict on the issue is confusing and nobody can say if uttering talaq thrice in one sitting annuls marriage or it is considered only one talaq, he wondered how the government can bring a bill in the Parliament. The Member of Parliament asked the Narendra Modi government if it would provide financial aid to women if their husbands were sent to jail for three years. Addressing a public meeting at MIM headquarters Darussalam on the occasion of Milad-un-Nabbi, he warned that the legislation could lead to a new problem of husbands abandoning their wives. He criticised Modi for speaking about the rights of Muslim women but ignoring the "Hindu sisters". Claiming that "20 lakh Hindu women are abandoned by their husbands", Owaisi asked Modi if he would come to their rescue as well. He said the Sangh Pariwar shows sympathy for Muslim women but was not allowing a film to be released. "When you can't allow a film ('Padmavati') to be released, how can you interfere in my shariat," Owaisi asked. The MIM President said Muslims should learn a lesson from Rajputs who despite being less in numbers came together to stop the release of the film. "If Muslims can unite to strengthen the country and to save shariat, we can definitely do something," he added. The MP said the community should also learn lessons from Patels, Gujjars, Jats and Marathas who came together to fight for their rights and for reservation. On Uttar Pradesh Chief Minister Yogi Adityanath's statement that the Taj Mahal is not part of Indian culture, and BJP describing the monument as symbol of slavery, Owaisi asked why Modi hosted a dinner in Falaknuma Palace here for US President Donald Trump's daughter Ivanka Trump and others. "You have to see the symbols of our forefathers," he remarked while also referring to the other dinner hosted at Golconda Fort for delegates of Global Entrepreneurship Summit (GES) this week. 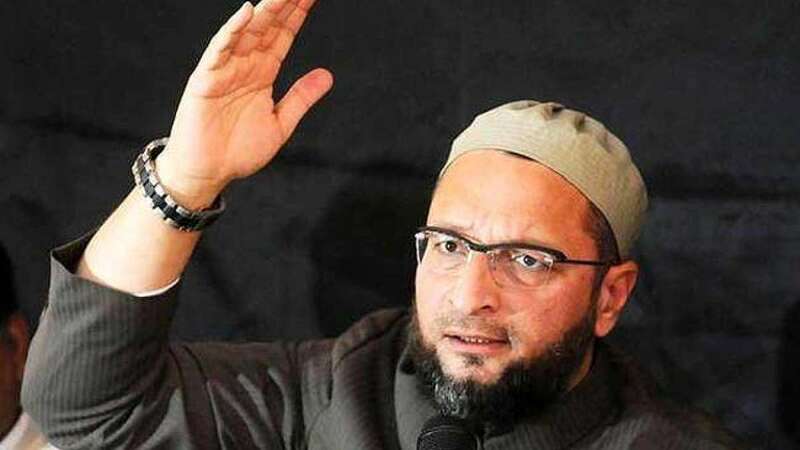 Referring to the Gujarat elections, the MIM chief said the leaders of both BJP and Congress were vying with each other in visiting temples and every leader claiming himself to be a "bigger Hindu than the other". He alleged that both the parties were competing with each other in offering reservation for various communities but were united in opposing quota for Muslims. He described both the parties as "hypocrites". On former US President Barack Obama stressing the need to nurture and cherish Indian Muslims, Owaisi said it was news for media only because a former US President has stated it. "Our party has been saying the same for over 60 years. We have been saying that we love this country, we have faith in its Constitution and the country can strengthen if Muslims get their constitutional rights," he said. Targetting the Congress party, he said it blamed the MIM for dividing votes in various states to hide its failure to defeat Modi. He recalled that his party had contested only 28 seats out of 400 in the Uttar Pradesh Assembly elections. "In the civic polls in UP, we won 32 seats but Congress got only 19 seats and could not win a single seat in Amethi," he added.